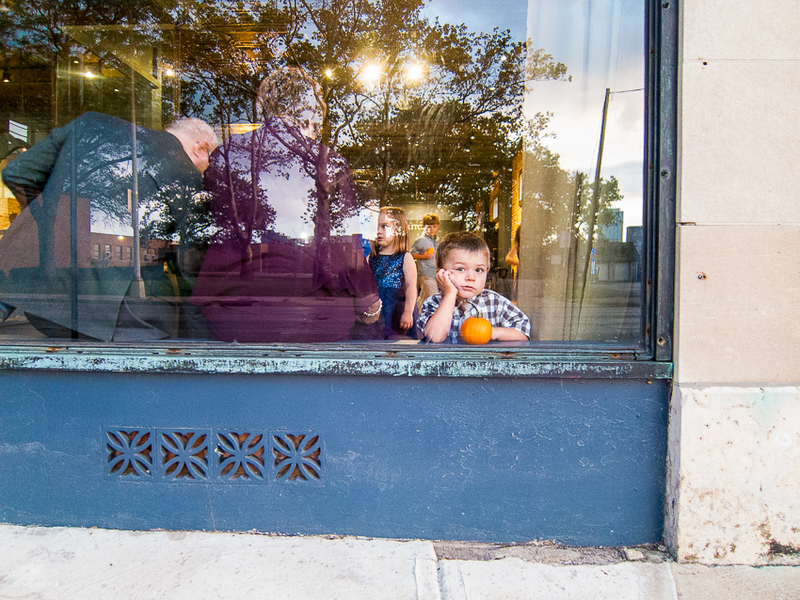 So Brody, our youngest son, is a ball to photograph because he's the boy with a thousand expressions. We'll even do little mini photo shoots where I just say "brody, do expressions", and he'll start flashing happy, sad, crazy monster boy, and so on. But the photo above shows one of his authentic looks. We went to Legend Hills Orchard this Saturday near Utica, where he chose one of the largest pumpkins available. 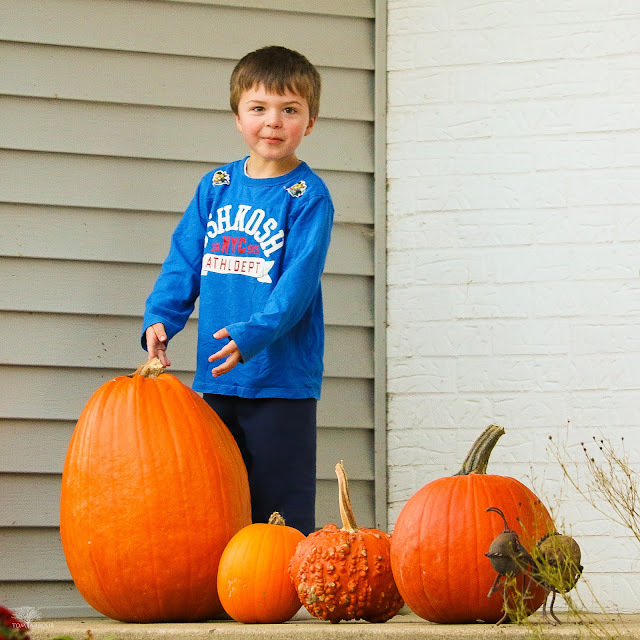 I think he's almost in disbelief just how big and how cool this pumpkin really is. And he's wondering to proudly to himself, almost in disbelieft, that he was able to con his parents to buy him a $12 pumpkin. Last year I took another photo of Brody with a much smaller pumpkin. A much more mellow (read exhausted), contemplative Brody with a much smaller pumpkin from last September. What a difference a year makes! I shot the top photo with the wonderful and now much cheaper-than-when-I-bought-it Canon EOS 7D Mark II and the very useful, extremely lightweight Canon EF-S 55-250mm F4-5.6 IS STM Lens Thinking about buying a new camera or lens? Using these links to make your Amazon purchase helps support my continuing photographic journey. Thank you!